Being polite is something expected here in the south. That means we say “please” when we ask for something. It is customary to add, “ma’am” or “sir” when you speak. You must always say, “thank you” without exception. These things are ingrained in us at a very early age. No exceptions to the rules! That is why I am lucky that I don’t have to surrender my Southern Belle card! Why? I have been delinquent in thanking everyone for some amazing prizes that I’ve won! Most of these are recent wins but this first one is from the BlogPaws® conference. The awesome inventor of the Pet Tutor™ had a giveaway at his booth. I was very lucky because he drew my name! I won a Starbucks® gift card, which I promptly used and a beautiful rhinestone bone to add to a necklace. In my lame defense, I have been waiting until I bought a new chain to wear it. I finally bought a chain and it is one of my favorite accessories. 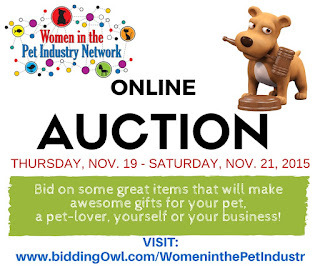 It is from Dazzle Pet and if you are looking for pet related jewelry, she has a great selection. As far as the Pet Tutor goes, it is a super smart device that can dispense treats as a reward for your dog. It should be on Bentley’s Christmas list. I apologize for being so late in my thanks. I really loved my prizes. 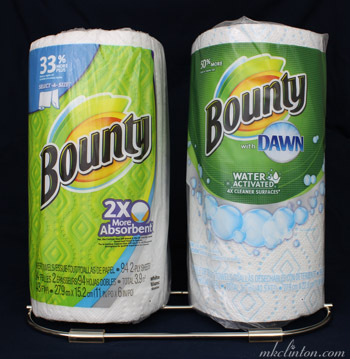 I entered Pawsitively Pets’ giveaway for Bounty paper towels with Dawn and won their limited edition dual-roll holder! It will definitely come in handy since I am always squirting dish liquid on my paper towels to wipe the counters, stove, and table. I appreciate it, Ann. My friend, JoAnn from Sand Spring Chesapeakes had a giveaway for Omegease™ Omega-Rich Fish Oil and you guessed it! We won that, too. I am excited to begin adding it to the boys’ food. I’m sure it will be a terrific supplement. The great and powerful Oz the Terrier had a contest to win some Raw Paws® Pet Food. Since we are working on a mostly raw diet, I was hoping for a chance to try this source. 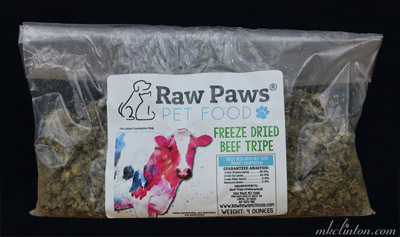 They sell all types of raw meats but we chose the green tripe. I know the boys are excited. We actually had to hide the bag from Bentley. His nose has found it in two different places. You’re so sweet, Gina! 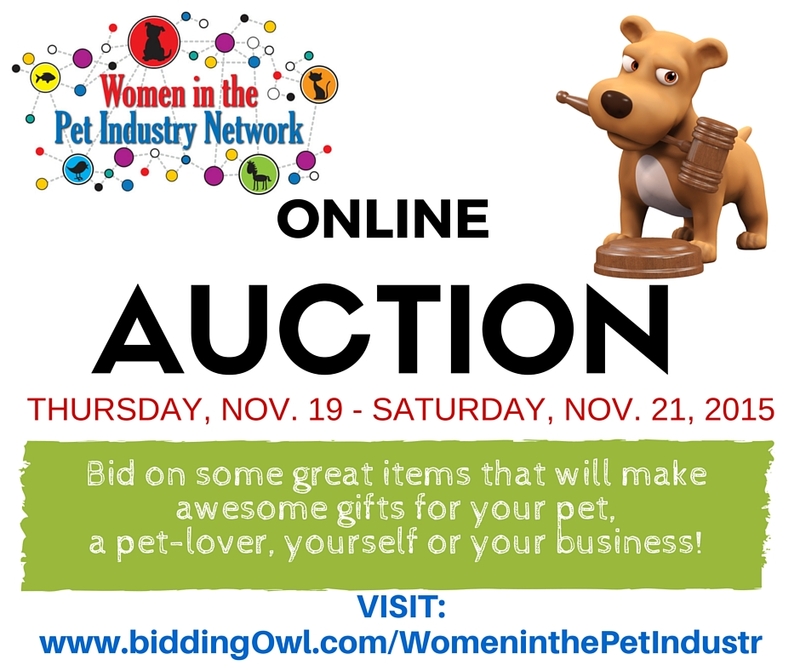 One of my favorite things to do on the internet is Tuesday’s BlogPaws Chat. It’s a terrific way to talk with your blogging friends and there are prizes! 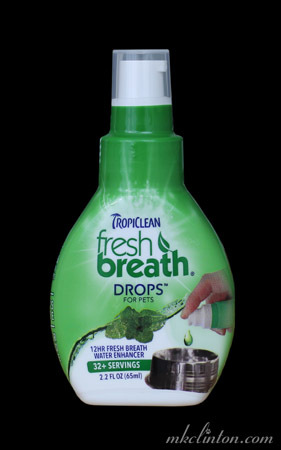 I won some Tropiclean® Fresh Breath Drops for Pets and I am so anxious to see how the boys like it. I know that I will love their fresh breath. A couple of weeks ago I won some dog biscuits from Avoderm® Natural. Bentley and Pierre are watching the mailman for those to be delivered. Join us for the next #BlogPawsChat. Do you follow Rachel of My Kid Has Paws? She always has interesting and helpful posts. She was a vet tech and shares her knowledge with us all of the time. Recently, she reviewed Brothers™ Complete Dog Food and held a giveaway. Yep, we won that one too! We will be getting a bag of their Turkey & Egg food soon. Thanks Rachel! · A puzzle dog toy with a modern, modular design. Isn’t that an incredible prize package? Woo Hoo! So, as you can tell I have been very lucky over the past few months. It is so much fun to participate in everyone’s contests and even more fun when I win! Thanks to all of you from Bentley, Pierre, and me! Women in the Pet Industry. wow that are a lot of super cool prizes! how is the smell of that beef tripe? good? Wow, those is some pawsome prizes! Holy Cow! You are on a roll, girl! You better go out and get yourself a lottery ticket!! :0 Congratulations on all of your winnings!! Congratulations! That's some pretty nice stuff you won! Yay for a winning month!! I am excited to get more involved here in blogland!! Holy Dog you have to go to Vegas or at least play your local lottery!! You are welcome! I hope you love it! You guys deserve some winnings, you work so hard! Enjoy! have you bought your lottery ticket yet?? that's some pawsome winnings! Now that's what I call a win streak! Wow, you probably should buy a lottery ticket! You are so welcome and thanks for the shout out, now go out and get that lottery ticket! What a great year you've had!! CONGRATS! That is a FABulous haul of goodies! These are all some great prizes! I love the bone pendant - too cute. Thanks for joining in on my giveaway. Wow, so much awesome stuff! Congrats! !